Echo Mountain, Denver's closest ski area 35 miles from downtown, officially has a new owner as of this week, its third new owner in the last 10 years. A company called SkiEcho, LLC, closed on the sale of Echo Mountain last weekend for a reported $3.78 million. SkiEcho, LLC, is run by a twentysomething University of Denver alum named Peter Burwell, the son of the late Rod Burwell, a Minnesota-based entrepreneur whose company, Burwell Enterprises, set out to revive fledgling businesses and once owned several hotels at the base of Aspen's Snowmass ski area. Rod died in 2015 at the age of 76; Peter has been CEO of Burwell Enterprises for several years. According to Echo's new general manager, Fred Klaas, the new ownership plans to open the ski area by mid-December and will be making several improvements this season, including updates to the lodge, better snowmaking, and an expanded food and drink menu. "We see a big opportunity here to try to make skiing more accessible," Klaas told Powder. "We'd like to offer a place where a lot of different groups of people, whether it's beginners or families or those just looking for a half day ticket, can come skiing." Last February, Echo Mountain's then-owner Nora Pykkonen filed for Chapter 11 bankruptcy due to the $1.45 million she owed the resort's creditors. 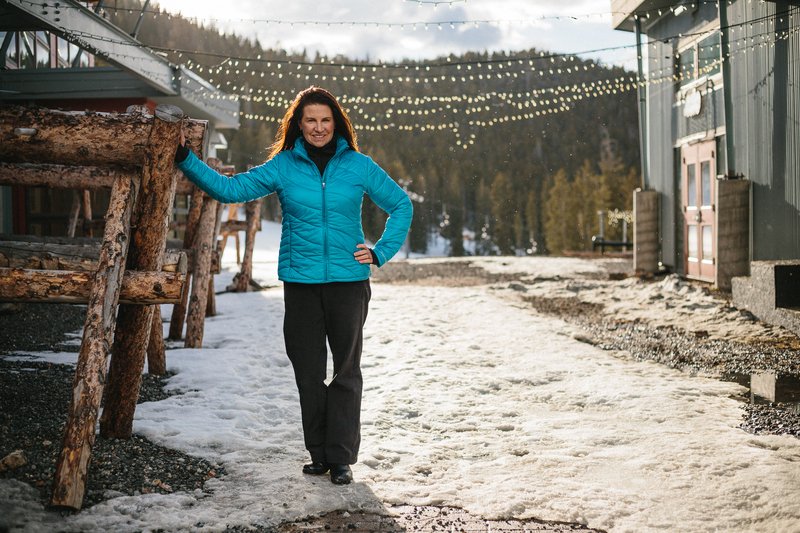 It was a hard hit for Pykkonen, a mother of four and founder of a tech consulting firm, who'd purchased Echo Mountain at auction in 2012, with no prior experience in the ski resort management business. We spoke to Pykkonen before the sale finalized about why running a ski area was even harder than she'd imagined. Powder: What did you know about running a ski resort when you bought Echo Mountain? Pykkonen: I didn't know anything about ski areas. I made some mistakes along the way. But I grew up on a ranch and in some ways, it's very similar to ranching. It's very physical. I made snow. I groomed. I worked the lifts. I stood at the front desk, selling tickets and lessons. There's nothing on the mountain I didn't do. I worked 15 hours a day during the winter. When I groomed, I spent all night there. So you became a master snowcat driver then? I don't drive a snowcat on a daily basis, but I sure did have fun doing it. It was easy to learn but I'm still not very good. Anyone who can drive a car can drive a snowcat, but that doesn't mean you'll be a skilled groomer. What was the toughest job you held on the mountain? I cleaned the bathrooms. I felt guilty asking other people to that, so I did it myself. When I had my consulting business, I didn't even clean my own house, so this was all new for me. There must have been parts of the job that you loved. I loved working with people and greeting all of our visitors. When I sold tickets, I got to meet everyone who showed up and I loved interacting with them. They had no idea they were talking to the owner of the mountain. Sounds like it was tough financially. We filed for Chapter 11. As a private ski area, it just wasn't sustainable. To run a ski resort is very capital intensive. I'm not the first ski area to file for bankruptcy. Every day we were trying to figure out how to keep the revenue flowing. It seemed like your family was very involved. This place wasn't something I bought and hired a bunch of people to run. I fell in love with this place and it definitely took over our lives. All my kids taught ski school. They worked the front desk. We cleaned the lodge. It was definitely a family business.